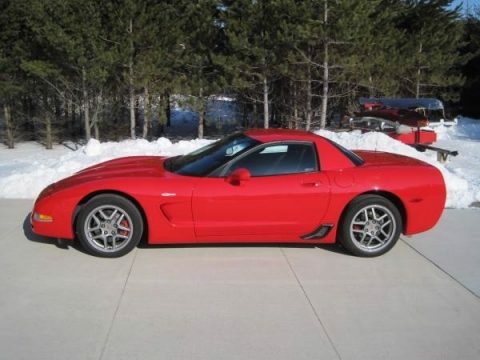 2004 Corvette Z06 Coupe For Sale in Sobieski, Wisconsin 54171 This corvette has a beautiful Torch Red exterior complimented with a sleek black leather interior. It has a 5.7L V8 engine paired with a 6 speed manual transmission. This car has been meticulously maintained and has had all maintenance done at the dealership. It has never been smoked in and has always been garaged kept. This car has many great features including a Memory Package Electrochromic Mirrors Alarm System Keyless Entry AM/FM/CD Player Power Locks Power Windows Air Conditioning Cruise Control And much more! This hot corvette has only had one owner and only has 8,000 miles on it. Excellent condition! $33,000.